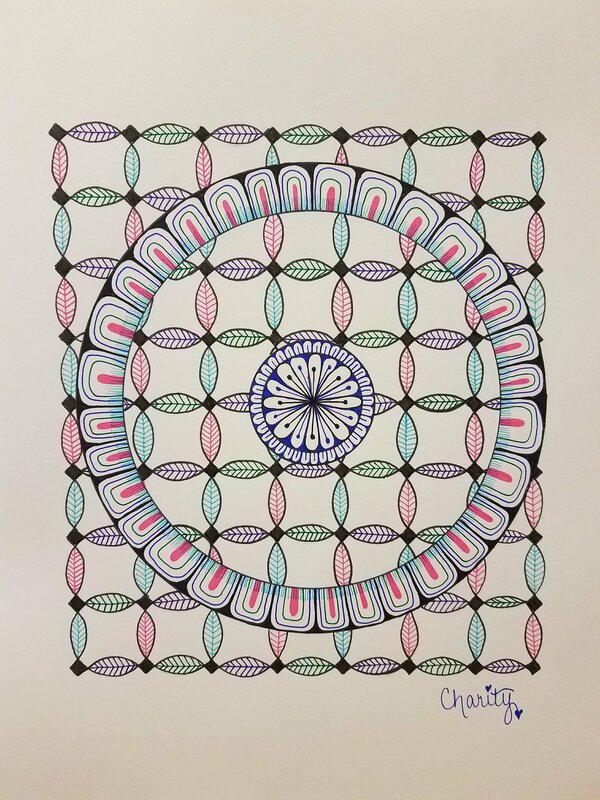 I was in the middle of my day to day operations with my creative business when I received a message from my friend Shri informing me of this zen art challenge. I was a little hesitant because this is my birth month and typically is one of my busiest. But, with the relaxed rules, it seemed like the challenge for me. 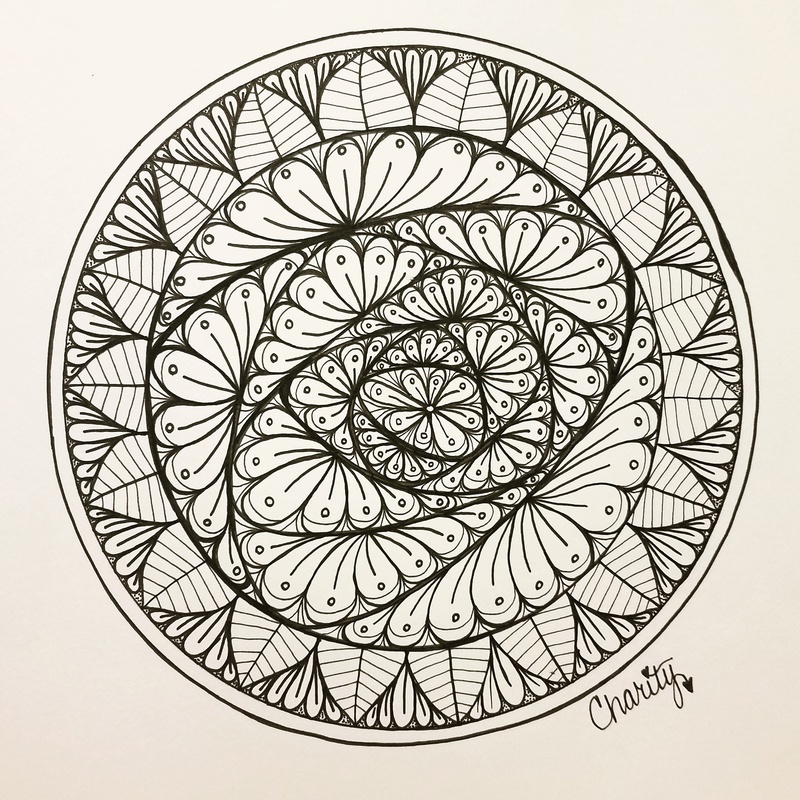 This challenge is a different zentangle pattern per day, drawn anyway you would like, and on any day you would like. Her challenge is to learn a new pattern and use it in a new way each day. Essentially, practicing every day will make you better at it. Although this has always been my mindset, sometimes I sit down and wonder what will come out of the pen or pencil in my hand. This gives me a vacation from thinking something up, instead it pushes me out of my comfort zone and forces me to think outside the box to create something new. I have enjoyed the challenge so far. 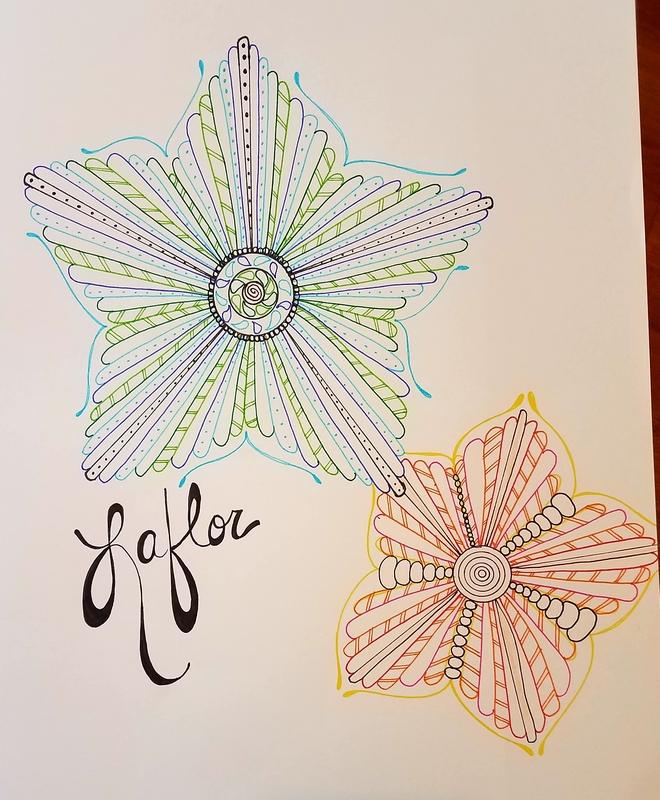 I am hoping to post weekly to show you the ones I have completed so far. So let’s get started! This pattern is completely new to me. I thought that I would continue with the color theme and try to do something different. However, I feel like now that I have experimented with it a little, I could see it as a part of my floral designs I love to do. Okay, This one I actually really love. When I first looked up the pattern I was not amused by its simplicity. But I knew that I could make something amazing out of it. So I drew it out like the instructions say, and I drew it again, and I even drew it a third time. Then all at once in clicked! I knew I was making a mandala from this. I am so happy with how it turned out and I hope that you are too! This pattern is new to me. Its not a crazy cool pattern, but I had to make use of it anyways. 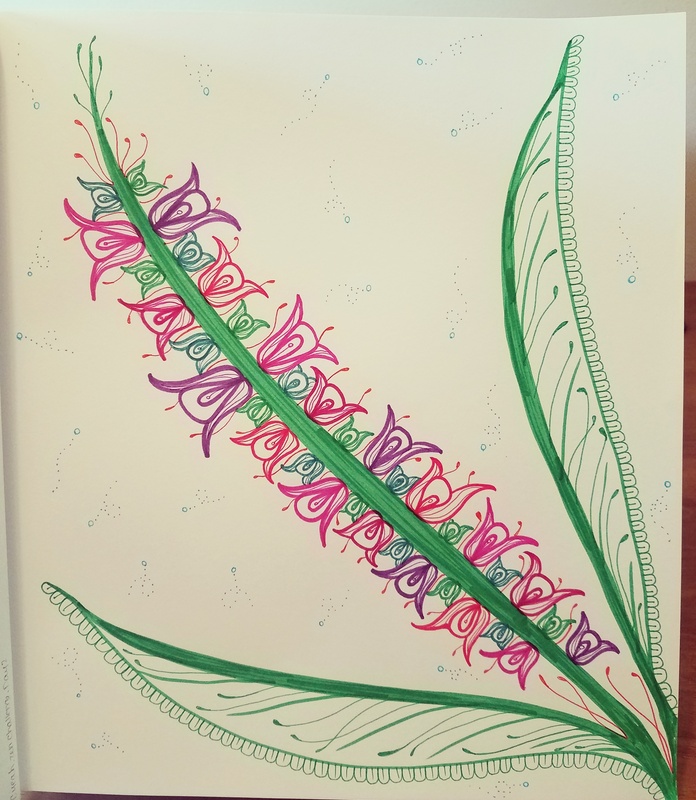 Other than making it a flower, I really didn’t see the pattern going beyond a stand alone piece. Which is okay by me because I like to add little elements in my drawings that I have seen and use them in a way that is a little non-traditional. With that said, I am pretty sure that I will be using this one in the future. This pattern was very fun. The possibilities were endless. 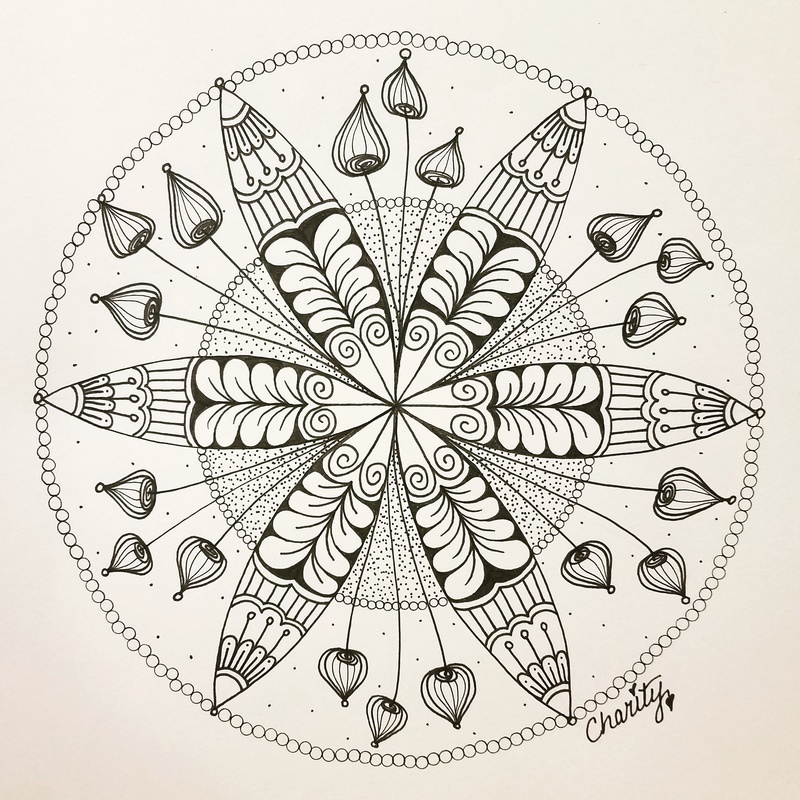 I love everything that I have seen with these, but of course, I am always drawn to the mandala and therefore, I worked on integrating this in my current piece. it worked out perfectly, in my opinion. 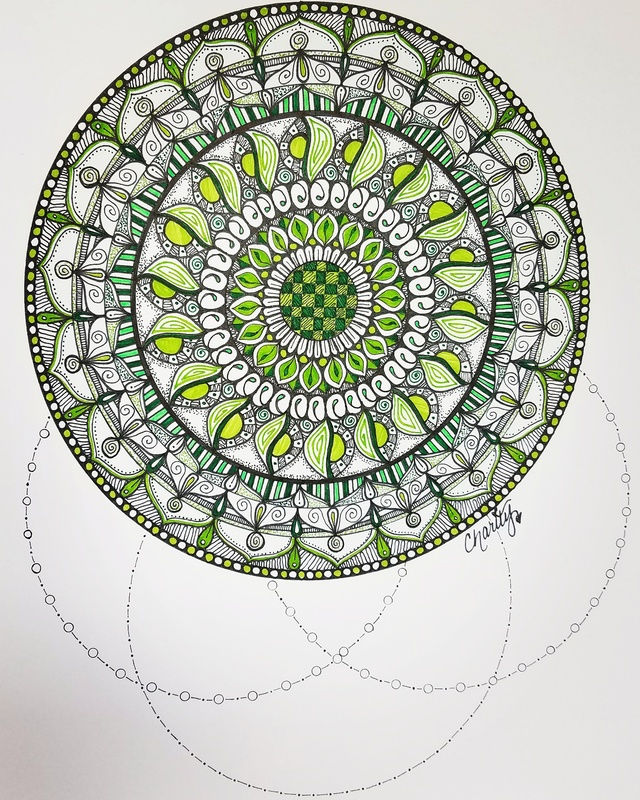 Once I was done with the mandala, I wanted to add some design elements at the bottom that would elongate the mandala. Almost to the point of it moving towards a dream catcher. This pattern was so weird and it has gotten several reactions from those that have seen it. Either it looks like beads on ribbon, which was the objective, or it looks like tape worms. There is no in between. Regardless of what anyone else says, I love this pattern and will definitely be using it in the future. It just works wonderfully as a divider for multiple patterns on one page. I need to confess something about this pattern. I hate it, well, hated it. I felt like it was beautiful in the right setting but by itself, it just wasn’t very appealing to me. So, in the way that I do, I had to figure out the best way to display all the elements of this pattern without taking away from the pattern’s simplicity. I only did it by creating an overlay of rings to make it visually interesting enough for me to be able to share it with others. 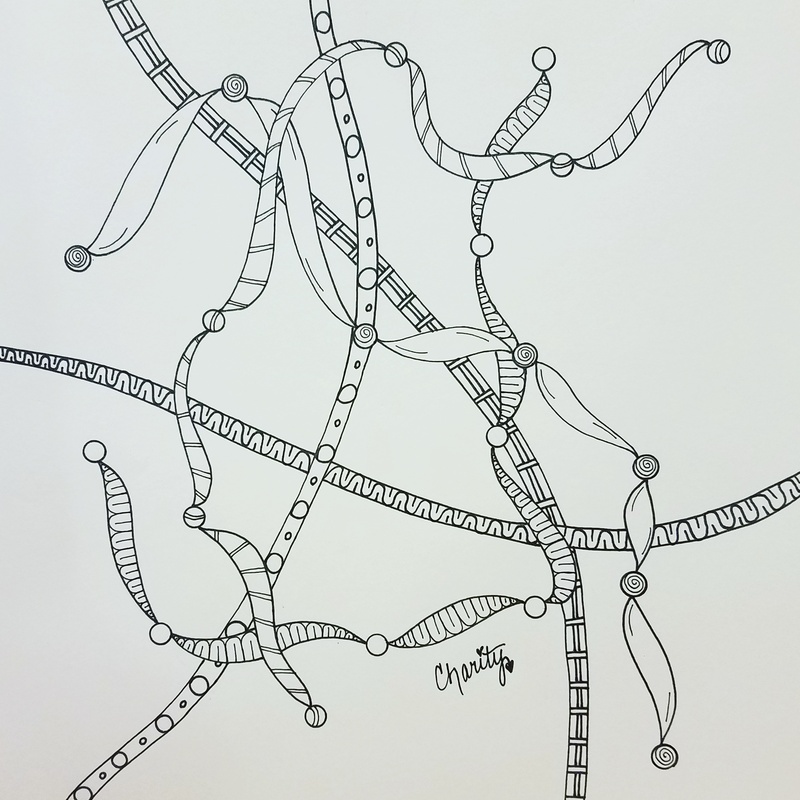 Okay so there is the first week of zentangle patterns. Check back again next week as I share patterns 8-14. Let me know in the comments, which of these patterns are your favorite and which are you least favorite. I look forward to hearing from you all! And remember, if you want to join in this challenge, it is never too late.